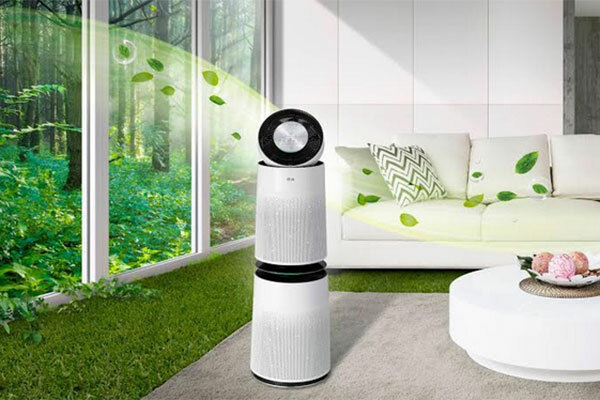 LG Electronics has launched its PuriCare Air Purifiers that tackles poor indoor air quality with smart sensors and comprehensive six-step filtration to create healthier environments. “At LG, we believe that health and wellbeing is connected to happiness and productivity. A positive improvement in the former leads to better outcomes for the latter. This is the philosophy behind the LG PuriCare range of Air Purifiers. With its smart air quality sensors, comprehensive filtration technologies and advanced airflow capabilities, the LG PuriCare Air Purifiers are the perfect solution to ensuring clean and healthy air indoors,” said Yong Geun Choi, president, LG Electronics Gulf. LG Air Purifiers are designed specifically to deal with the harmful effects of these indoor pollutants through its innovative 360-degreefiltration process. With most residents in the UAE spending 90 percent of their time indoors, particularly in the summer months, it is vital to create safe, healthy and pollutant-free home environments, starting with the air quality. Although heavier particulate matter like dust and soot are visibly avoidable, many invisible pollutants linger in the air that are hard to detect, like the aforementioned chemical substances, that adversely affect health. The LG PuriCare range of Air Purifiers offer advanced filtration and detection technologies, which work together to mitigate the effects of heavy particulate matter and harmful household pollutants through an innovative approach to filtration and dispersion of clean air indoors. The 6-step advanced filtration technology removes dust, ultra-fine dust particles, allergens and bacteria, smog compounds, Volatile Organic Compounds (VOCs) and household gases like ammonia and formaldehyde, for comprehensive respiratory health. Research has shown that some of these harmful gases, particularly smog compounds, ammonia and formaldehyde (from cooking, detergents, aerosols and furniture) can have drastic negative effects on health.